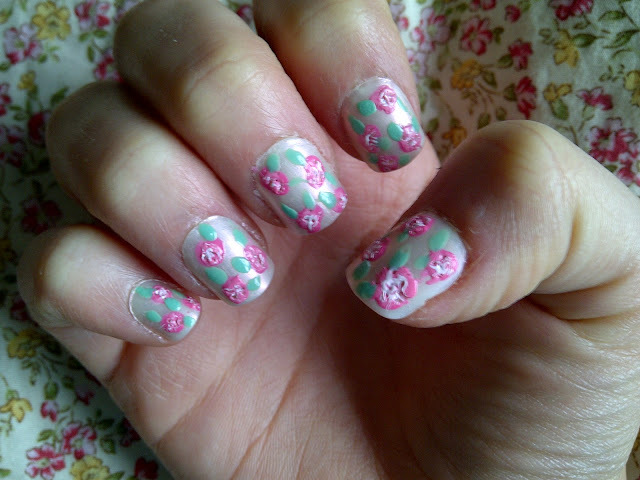 ...and voila- super easy floral nails perfect for spring and the Easter weekend! 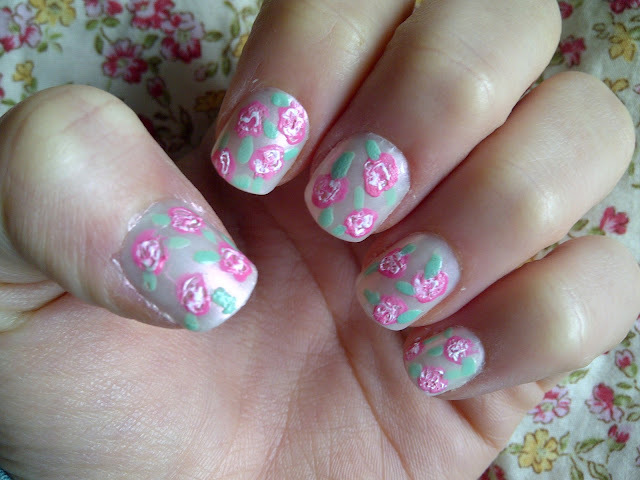 Do you like my floral nails? Do you know any other techniques for creating easy flower nail art? I hope you're all having a great Easter weekend and please do let me know if you try out these nails! adorable nails! I could never do it myself, I don't have the patience! Those nails are amazing! So pretty.